I received this in my Mid Summer Meet goodie bag and it's become a major staple in my hair care routine. 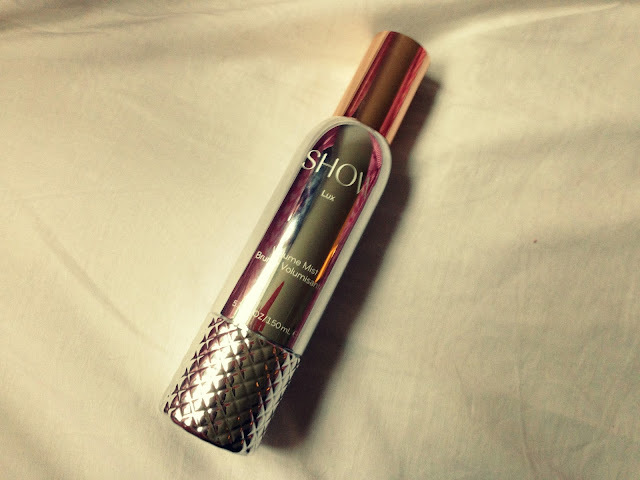 SHOW was a brand I'd never heard of before, but since getting this I've seen the products dotted about Selfridges and Harvey Nic's - how could you miss this packaging?! The gorgeous bottle made it pretty difficult to photograph, but it does mean it looks pretty perfect on my dressing table. I love how glamorous it looks and we all could do with a little glamour in our lives! The Volume Mist is to be used on wet hair before drying. 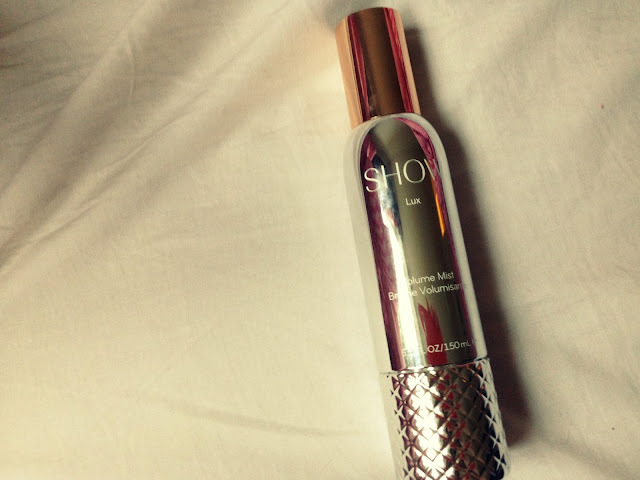 You just spritz as much as needed into wet hair and then style as normal. I've been using this religiously as I have super straight and flat hair, but this has certainly been giving it that extra bounce that it very much needs. It's also meant that I can leave my hair down for longer after I've washed it. Generally I find it goes so flat at the back that I have to tie it up, and no amount of styling will sort it out. However I've been able to sleep and for at least 2-3 days after washing, my hair still looks full of life. I'm not entirely sure how this product works, although it has a strange feel on your hair whilst it's wet but once it's dry my hair is super soft and silky. It feels sort of sticky - a lot like hairspray whilst your hair is damp and it just sort of disappears once your locks are dry. It smells really fruity and delicious too, which is always a bonus! I am so impressed with this Volume Mist, I don't really know how I'm going to cope when it runs out. The price tag isn't so purse friendly at £35 from Look Fantastic, although it works for me I may have to find a slightly cheaper alternative.